Survival, osmoregulatory pattern, oxygen consumption, energy spent on metabolism, ammonia excretion, type of oxidized energy substrate, and hepatosomatic index were evaluated in decapods (an osmoregulating crab, Callinectes danae, and an osmoconforming seabob shrimp, Xiphopenaeus kroyeri) exposed to carbon dioxide-induced water acidification (pH 7.3, control pH 8.0) and different salinities (20, 25, 30, 35, and 40‰) for 3 days. Compared to the animals kept at controlled pH, exposure to reduced pH resulted in the loss of osmoregulatory capacity in C. danae at all salinities, except for some hyporegulation at 40‰, and reduced oxygen consumption and ammonia excretion at 20 and 40‰. Xiphopenaeus kroyeri remained an osmoconformer in all evaluated conditions, except for some hyporegulation at 40‰, and when exposed to the reduced pH, it presented changes in oxygen consumption at all salinities and reductions in ammonia excretion at 20 and 35‰ compared to the control animals. Both species use protein as the main energy substrate and decrease the hepatosomatic index when exposed to reduced pH relative to the control. The observed changes may be associated with changes in the activity of enzymes related to osmoregulation, the use of amino acids as osmotic effectors of cell volume control and recovery, and the Bohr effect, and, because the gills are multifunctional organs related to osmoregulation, the changes may be related to acid–base control, nitrogen excretion, and respiration, with a change in one of these functions bringing about changes in the others. Will temperature and salinity changes exacerbate the effects of seawater acidification on the marine microalga Phaeodactylum tricornutum? • Combined effects of pH, temperature and salinity were studied on a marine diatom. 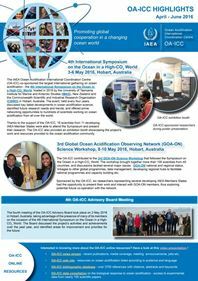 • A novel CO2 injection system was used for performing microalgae toxicity test. • Synergistic effects were found on cell viability, cell size and autofluorescence. • Results are useful to address the potential impact of climate change. To evaluate the effects related to the combination of potential future changes in pH, temperature and salinity on microalgae, a laboratory experiment was performed using the marine diatom Phaeodactylum tricornutum. Populations of this species were exposed during 48 h to a three-factor experimental design (3 × 2 × 2) with two artificial pH values (6, 7.4), two levels of temperature (23 °C, 28 °C), two levels of salinity (34 psu, 40 psu) and a control (pH 8, Temp 23 °C, Sal 34 psu). The effects on growth, cell viability, metabolic activity, and inherent cell properties (size, complexity and autofluorescence) of P. tricornutum were studied using flow cytometry. The results showed adverse effects on cultures exposed to pH 6 and high temperature and salinity, being the inherent cell properties the most sensitive response. Also, linked effects of these parameters resulted on cell viability and cell size decrease and an increase of cell autofluorescence. The conclusions obtained from this work are useful to address the potential effects of climate change (in terms of changes on pH, salinity and temperature) in microalgae. Coastal ocean acidification did not enhance apparent test dissolution or affect survival in the short term of the benthic foraminifera species Ammonia sp. and Elphidium crispum. Ωcalc <1 caused by low salinity decreases resistance to dissolution of the foraminifera. The response of foraminifera to the combined impact of low pH and desalination was species-specific. Living, decalcified juvenile specimens of Ammonia sp. were observed after one month at salinity 5. Coastal areas display natural large environmental variability such as frequent changes in salinity, pH, and carbonate chemistry. Anthropogenic impacts – especially ocean acidification – increase this variability, which may affect the living conditions of coastal species, particularly, calcifiers. We performed culture experiments on living benthic foraminifera to study the combined effects of lowered pH and salinity on the calcification abilities and survival of the coastal, calcitic species Ammonia sp. and Elphidium crispum. We found that in open ocean conditions (salinity ∼35) and lower pH than usual values for these species, the specimens displayed resistance to shell (test) dissolution for a longer time than in brackish conditions (salinity ∼5 to 20). However, the response was species specific as Ammonia sp. specimens survived longer than E. crispum specimens when placed in the same conditions of salinity and pH. Living, decalcified juveniles of Ammonia sp. were observed and we show that desalination is one cause for the decalcification. Finally, we highlight the ability of foraminifera to survive under Ωcalc < 1, and that high salinity and [Ca2+] as building blocks are crucial for the foraminiferal calcification process. Helcom scenario modelling suggests that the Baltic Sea, one of the largest brackish-water bodies in the world, could expect increased precipitation (decreased salinity) and increased concentration of atmospheric CO2 over the next 100 years. These changes are expected to affect the microplanktonic food web, and thereby nutrient and carbon cycling, in a complex and possibly synergistic manner. In the Baltic Proper, the extensive summer blooms dominated by the filamentous cyanobacteria Aphanizomenon sp., Dolichospermum spp. and the toxic Nodularia spumigena contribute up to 30% of the yearly new nitrogen and carbon exported to the sediment. In a 12 days outdoor microcosm experiment, we tested the combined effects of decreased salinity (from 6 to 3) and elevated CO2 concentrations (380 and 960 µatm) on a natural summer microplanktonic community, focusing on diazotrophic filamentous cyanobacteria. Elevated pCO2 had no significant effects on the natural microplanktonic community except for higher biovolume of Dolichospermum spp. and lower biomass of heterotrophic bacteria. At the end of the experimental period, heterotrophic bacterial abundance was correlated to the biovolume of N. spumigena. Lower salinity significantly affected cyanobacteria together with biovolumes of dinoflagellates, diatoms, ciliates and heterotrophic bacteria, with higher biovolume of Dolichospermum spp. and lower biovolume of N. spumigena, dinoflagellates, diatoms, ciliates and heterotrophic bacteria in reduced salinity. Although the salinity effects on diatoms were apparent, they could not clearly be separated from the influence of inorganic nutrients. We found a clear diurnal cycle in photosynthetic activity and pH, but without significant treatment effects. The same diurnal pattern was also observed in situ (pCO2, pH). Thus, considering the Baltic Proper, we do not expect any dramatic effects of increased pCO2 in combination with decreased salinity on the microplanktonic food web. However, long-term effects of the experimental treatments need to be further studied, and indirect effects of the lower salinity treatments could not be ruled out. Our study adds one piece to the complicated puzzle to reveal the combined effects of increased pCO2 and reduced salinity levels on the Baltic microplanktonic community. With the release of large amounts of CO2, ocean acidification is intensifying and affecting aquatic organisms. In addition, salinity also plays an important role for marine organisms and fluctuates greatly in estuarine and coastal ecosystem, where ocean acidification frequently occurs. In present study, flow cytometry was used to investigate immune parameters of haemocytes in the thick shell mussel Mytilus coruscus exposed to different salinities (15, 25, and 35‰) and two pH levels (7.3 and 8.1). A 7-day in vivo and a 5-h in vitro experiments were performed. In both experiments, low pH had significant effects on all tested immune parameters. When exposed to decreased pH, total haemocyte count (THC), phagocytosis (Pha), esterase (Est), and lysosomal content (Lyso) were significantly decreased, whereas haemocyte mortality (HM) and reactive oxygen species (ROS) were increased. High salinity had no significant effects on the immune parameters of haemocytes as compared with low salinity. However, an interaction between pH and salinity was observed in both experiments for most tested haemocyte parameters. This study showed that high salinity, low salinity and low pH have negative and interactive effects on haemocytes of mussels. As a consequence, it can be expected that the combined effect of low pH and changed salinity will have more severe effects on mussel health than predicted by single exposure. 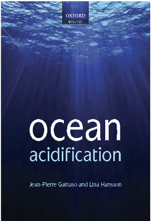 Ocean acidification, mainly attributed to the increasing anthropogenic CO2 in the atmosphere, is characterised by a lowering pH together with a shift in the sea water carbonate chemistry toward lower concentration of carbonate ions. On the coasts, where the environmental variability is high due to natural and human impacts, ocean acidification mainly affects the frequency, magnitude, and duration of lower pH and lower calcium carbonate saturation events. Coastal ecosystems are adapted to environmental variability such as frequent changes in salinity, temperature, pH, oxygen levels and organic matter content. However, the effects of an increase of the range of this variability on coastal species, and especially on calcifiers, are still not clear. In this context, this thesis explores the impacts of coastal ocean acidification combined with other environmental stressors on benthic foraminifera. In the Skagerrak-Baltic Sea region, foraminifera faunas varied along a strong gradient in terms of salinity, pH, and dissolved oxygen concentration, and species were adapted to local environmental stressors. However, the specimens of Ammonia spp. and Elphidium spp. observed in the south Baltic Sea were partially to completely dissolved, probably due to a combination of different stressors affecting the required energy for biomineralisation. In a culture study, the coastal species Ammonia spp. and E. crispum were found to be resistant to dissolution under varying salinity and pH, which reflects the environmental variations in their natural habitats. However, their resistance to lower pH is decreased when cultured in brackish water conditions, and living decalcified specimens were also observed under a salinity of 5. This underlines the importance of a high salinity in the calcification process of foraminifera. At the entrance of the Baltic Sea, environmental changes during the last 200 years were reconstructed using foraminiferal faunas. Four periods were identified with varying oxygen levels, salinity, organic matter content, and pollution with lower pH. This highlights that foraminiferal faunas were able to adapt to multiple environmental stressors. This thesis concludes that, even if coastal species of foraminifera can tolerate extremely varying conditions in their environment on the short term, it is likely that tolerance thresholds will be passed for benthic ecosystems under the future increase in anthropogenic impacts such as coastal ocean acidification. Further studies of micro-organisms such as foraminifera will be necessary to improve our understanding of past environmental changes and to put present and future changes into a larger context. Over the last decade, hydrogen isotope fractionation of long-chain alkenones have been shown to be a promising proxy for reconstructing paleo sea surface salinity due to a strong hydrogen isotope fractionation response to salinity across different environmental conditions. However, to date, the decoupling of the effects of alkalinity and salinity, parameters that co-vary in the surface ocean, on hydrogen isotope fractionation of alkenones has not been assessed. Furthermore, as the alkenone-producing haptophyte, Emiliania huxleyi, is known to grow in large blooms under high light intensities, the effect of salinity on hydrogen isotope fractionation under these high irradiances is important to constrain before using hydrogen isotope fractionation to reconstruct paleosalinity. Batch cultures of the marine haptophyte E. huxleyi strain CCMP 1516 were grown to investigate the hydrogen isotope fractionation response to salinity at high light intensity and independently assess the effects of salinity and alkalinity. Our results suggest that alkalinity does not significantly influence hydrogen isotope fractionation of alkenones, but salinity does have a strong effect. Additionally, no significant difference was observed between the fractionation responses to salinity recorded in alkenones grown under both high and low light conditions. Comparison with previous studies suggests that the fractionation response to salinity in culture is similar under different environmental conditions, strengthening the applicability of hydrogen isotope fractionation as a paleosalinity proxy.